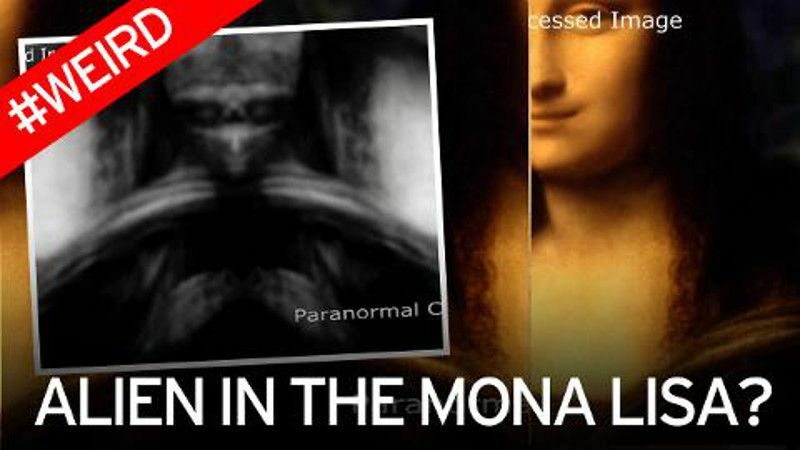 A new video by the Paranormal Crucible web site claims the ‘higher being’ was hidden in the famous painting by the artist in a sort of extra terrestrial Turin Shroud. The bizarre video is narrated by a computer-generated voice and says: “Many theologians believe that Leonardo Da Vinci deliberately concealed secret codes and subliminal messages in most of his work. It goes on to describe how you can make out the being’s facial features, headdress, cloak and its hands. However, the narration offers no real explanation as to why it would have been hidden within the painting. It even goes on to admit that it had to manipulate colours in the treasured art work on computer for it to be visible to the naked eye. But Scott C Waring, an alien conspiracy theorist who runs the UFO Sightings Daily website suggested it was obvious because the famous painter was in fact an alien himself, but had kept it secret. He posted: “The likelihood of Leonardo Da Vinci being an alien or half-breed is very high. “He shows all the signs. He had very high intellectual ability, extraordinary creative range, and used them to accomplish quite a bit. “Leonardo is somebody who is able to operate across all these various fields, which is very unusual. It is not the first time it has been suggested there are hidden codes and images in the painting. In 2010 art historians said they discovered tiny numbers and letters painted into the eyes of the artist’s enigmatic Mona Lisa painting, that could have been a code.